BIOSTAR is proud to introduce the first ever Crypto Mining Card for graphics card expansion to fully convert your gaming PC to a professional cryptocurrency mining rig that can handle up to 8 graphics cards (the motherboard requires 6 PCI-e slots). The new BIOSTAR Crypto Mining Card allows BIOSTAR’s hot selling gaming motherboards, like RACING H170GT3, GAMING H170T, Hi-Fi H170S3H, Hi-Fi B150S1, Hi-Fi B150S1 D4, or TB150 PRO to be used for crypto mining applications and expand on its primary function as an entertainment, workstation or gaming machine. This makes it easy to explore the growing market of cryptocurrency mining and avail of your existing gaming system. 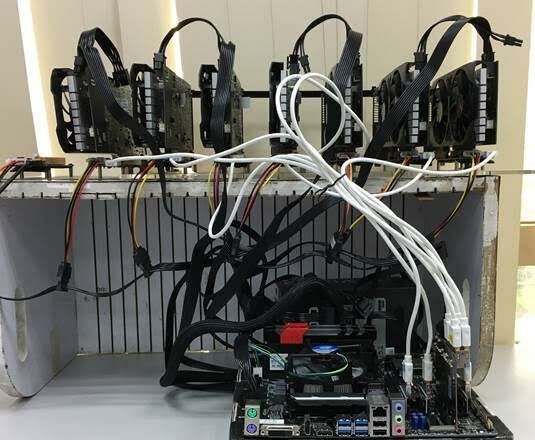 By extending support for 8 graphics cards to the max (the motherboard requires 6 PCI-e slots), the Crypto Mining Card can return your investment on your system by giving you the flexibility to create a mining rig to generate income from mining popular cryptocurrency like Bitcoin, Ethereum or Zcash. 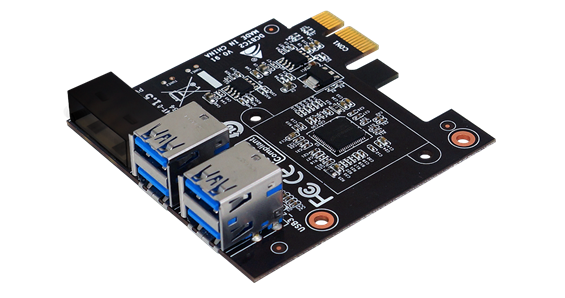 The BIOSTAR Crypto Mining Card is designed for BIOSTAR gaming motherboards, such as the models mentioned above and more, turning into a crypto mining base. 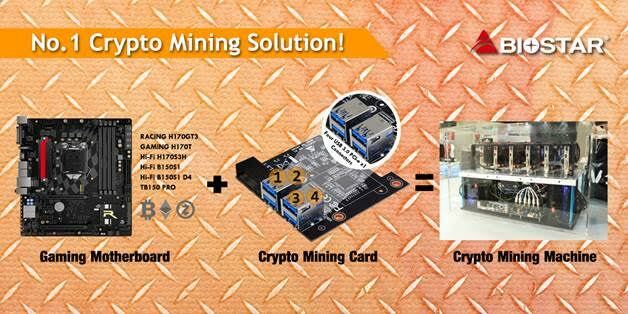 To increase the mining profitability, this Crypto Mining Card can let mining enthusiasts set up their mining machine up to 8 slots to utilize more GPUs for more mining power.